“This is amazing,” says Yuki Oka, the study’s lead author and a researcher at the California Institute of Technology. The finding appears to explain why our thirst disappears almost immediately when we start drinking, he says. The study comes decades after researchers discovered a tiny area of the brain known as the thirst center. But how the thirst center works had remained a mystery until the past few years, when new tools and technologies have allowed researchers to manipulate specific circuits in the brain. In 2015, Oka was part of a team that helped show precisely which cells in the thirst center sense dehydration and make us feel thirsty. Then he turned his attention to a puzzling behavior related to thirst. And they do stop, of course. But what’s surprising is that animals stop drinking long before their bodies have a chance to absorb the liquid they’re consuming. Somehow the brain figures out that liquid is on the way and sends a signal that quenches thirst, even though the body is still dehydrated. To find out, he had his team study mice using techniques including optogenetics, which lets researchers turn brain circuits on and off in living mice. This allowed the team to identify specialized cells in the animal’s thirst center that would fire when a mouse was drinking, but stayed quiet if the mouse was eating. The ability is remarkable because both activities use the same muscles in the throat, Oka says. He suspects that the cells can tell the difference between the fast muscle movements of gulping and the slower pace of chewing and swallowing. The team also showed that these specialized brain cells were part of a circuit that could switch off the brain’s thirsty signal. “If we stimulate those neurons in [a] thirsty animal, you can completely stop [it from] drinking water,” he says. The finding in mice could explain a rare disorder that occurs in humans, says Walter Koroshetz, director of the National Institute of Neurological Disorders and Stroke, which helped fund the study. 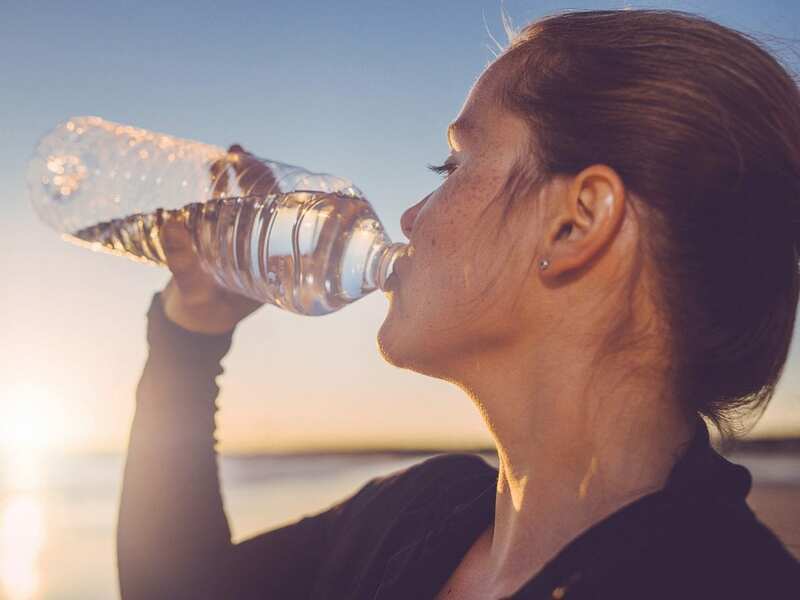 It’s called psychogenic polydipsia, and it causes people to drink dangerous amounts of water. “You become really sick,” Koroshetz says. It’s possible, he says, that the disorder is caused by some sort of fault in the brain circuit that usually tells us when to stop drinking. The research shows how new tools are allowing scientists to tweak specific brain circuits in ways they never could before, Koroshetz says. These tools are partly the result of a federal effort launched during the Obama administration called the BRAIN Initiative that is aimed at deepening our understanding of how our brains work. Scientists are starting with brain circuits that control basic functions, like drinking, Koroshetz says. But a long-term goal, he says, is to learn how to manipulate the circuits involved in complex psychiatric disorders like depression and schizophrenia.